I went to http://gofccyourself.com today to give the FCC my opinion regarding their pending decision on Title II classification of Internet Service Providers that will affect Net Neutrality enforcement. Unsurprisingly, after entered, the button labeled “Submit” does nothing. So here it is for your reading pleasure. 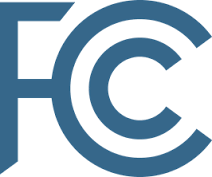 I encourage you to try to submit comments to the FCC on your own. Maybe they will listen. I have owned and operated an ISP for the last 23 years and I support keeping Title II classification. The argument that Title II and Net Neutrality enforcement was not around during the rapid growth of the Internet is disingenuous. The technology to rate-limit and do deep-packet inspection on high speed backbone connections is relatively new. Commissioner Pai does not seem to understand that the Internet was inherently neutral not by choice, but by the fact that it wasn’t engineered to give preference in the beginning. Due to new technology, and recorded abuses of anti-competitive filtering and rate-limiting, regulation is required to level the playing field. Until there is robust ISP competition, Title II is required. The FCC should not only retain Title II classification of ISPs, they should encourage open municipal fiber networks and require all data providers to use them. Building parallel infrastructure is wasteful and encourages monopolies. Until ALL Americans have access to a choice of 100Mbit+ providers, and not just one or two, regulation is required to keep these monopolies and duopolies in check. Media Release: EdgeConneX® Partners with the Salt Lake Internet eXchange, Offering Connectivity to 10+ Unique Networks XMission Proudly Sponsors Summer Festivals in SLC! Wow! Thanks for sharing, Pete. Have you tried posting it again? Not that it would do any good, but at least if we see it never works we know they are pulling a fast one. Hey, the American public didn’t complain so they must be OK with it. Keep trying. Apparently someone is spamming the site with identical comments in favor of repeal. It did finally go through on another attempt. So 3 years ago you were against Net Neutrality (https://xmission.com/blog/2014/01/22/net-neutrality) now you’re for it? Why the change? We don’t have robust competition. Availability to broadband comes down to one or two providers throughout the country. If the FCC is not going to encourage municipal fiber, then they should keep Title II. Thanks for your reply. I agree that the key to a free and open Internet is robust competition. Help me understand your reasoning for wanting to keep it Title II despite all the reasons for not that you gave back in 2014. Unless it’s as simple as not encouraging municipal fiber. If it’s that simple then I guess that’s your reasoning which is fine. If that’s it would you mind expounding on that a bit more. Pete, I reread your above post and retract my questions. Thanks for all you do in the ISP world. You’re a real advocate for free and open internet.